`We need three 3 different sizes of photos for our remarketing campaign. 3. 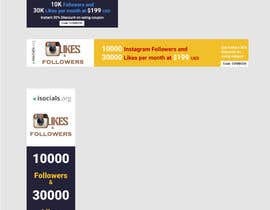 Get 30% Discount on Instagram Combo using coupon: COMBO30. 4. 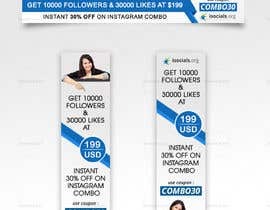 Instant 30% Discount on Instagram COMBO using coupon code: COMBO30. You may use the text that may be used for the product. #increaseprize yes please increase the price.. Please do not close the contest before time.. working on your project... requested. do you want animated GIF? Hi, we have updated the details of the contest. Please attach the image. there is attach the only logo.